In 2013, EWTN sued the federal government and challenged the HHS mandate in court. A federal appeals court ruled against the network in 2016, but that decision was tossed out after a U.S. Supreme Court ruling that protected other religious non-profits, including the Little Sisters of the Poor. Yesterday’s decision follows a formal settlement agreement, a Presidential Executive Order, and a recently finalized HHS rule issued in November ensuring a religious exemption preventing non-profits like EWTN from having to violate their faith. 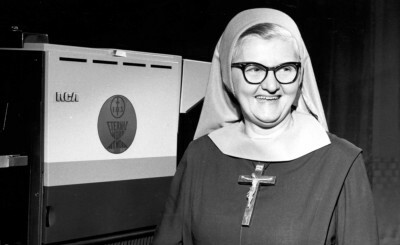 EWTN was founded in 1981 by Mother Mary Angelica of the Annunciation, also known as Mother Angelica, who was a cloistered nun and well-beloved TV personality worldwide. She started EWTN as a small television network in a garage on her monastery grounds with the purpose of sharing the Catholic faith with the public. Today, EWTN is now the largest religious media organization in the world, reaching into over 300 million television homes in 145 different countries. The Network also includes global radio, digital media, print, publishing and news services.